When starting out with your own budget many people start reading every book and site on the topic. While there is great information out there some of it encourages these budgeting mistakes. Don’t set yourself up for failure! Read below to find out more about the 3 Basic Budgeting Mistakes most people make and how to avoid them. Rigidity- You will find countless “experts” that give a set number for your budget and tell you that if you go over you’re not doing it right. THIS IS WRONG! A budget needs to be flexible. A budget needs to be adaptable and allow for life’s ups & downs. You may choose to budget $200 a month for clothes but if your kids have two growth spurts back to back that isn’t going to cover it! Maybe you get sick, maybe the furnace quits…either way your budget has to be able to handle the unexpected. Negative Beliefs- Call them unconscious patterns, beliefs, habits or whatever you want. Whatever you choose to call them if you don’t deal with them the perfect budget won’t matter. Self sabotage is one of the biggest reasons a budget will fail. It isn’t all your fault though, if you don’t know that you are doing it how can you stop it! Spending habits are just that, a habit, a behavior learned over time. By understanding what type of beliefs you have and their impact on your finances it becomes much easier to identify and correct them. Check out my Money Mantras to see some of the positive beliefs you can start using today! Have you made any of these budgeting mistakes before? GOOD! We make mistakes so we can learn from them. The even better news is that you don’t have to do it alone. 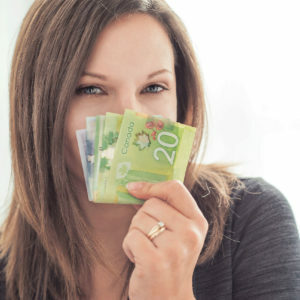 Money Coaching can help you achieve your financial dreams faster than you ever anticipated. Through accountability and a proven set of exercises you will overcome those past behaviours and patterns to live your best financial life!